Team Goma is pretty split on the question of cats. Two people think they’re pretty disgusting. The rest of us are right. 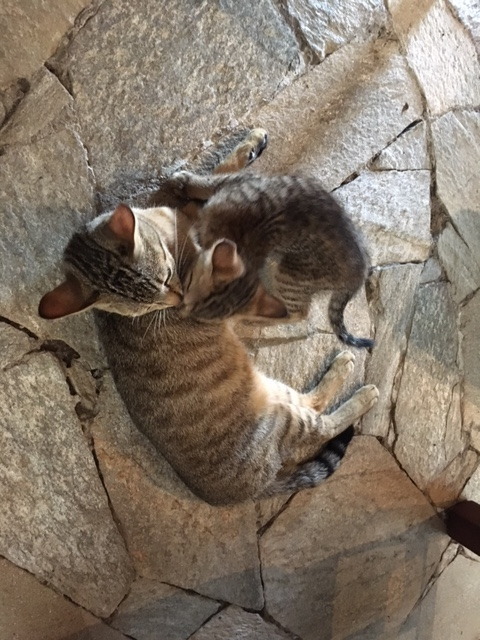 These are two of the three cats at Vieunga’s main lodge. The third was inside an upholstered chair.